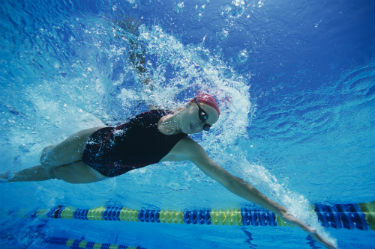 Our excellent adult swim school in Nottingham welcomes swimmers of all ages and abilities. Our popular 'Swim England Learn to Swim' programme at Nuffield Health in Nottingham followsSwim England standards. Lessons are available to both our gym members and non-members. Our heated indoor swimming pool is 20m. Please get in touch if you would like any further information or to book a lesson. We look forward to welcoming you to our swim school in Nottingham.